The Escrow team helped me to understand my escrow process and gave me a sense of comfort along the way. Their professionalism and attention to detail is impressive. 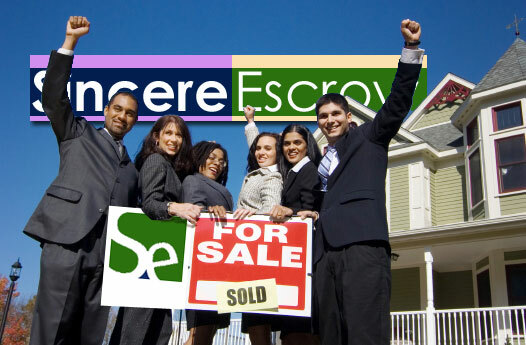 Sincere Escrow delivers professional escrow services for a wide variety of purchase, sale, financing, commercial and other transactions. As a neutral third party, Sincere Escrow carries out the instructions in a purchase agreement between the buyer and seller or the borrower in a refinance situation with maximum responsiveness and attention to detail. We also handle all of the disbursement associated with a closing.